Hillary Clinton just racked up major endorsements from some of the country's top business leaders. In an email on Thursday, Clinton's campaign rolled out a list of endorsements from over 50 prominent leaders from companies like General Motors, Boeing, Costco, and Qualcomm among others. Warren E. Buffett, Chairman and CEO of Berkshire Hathaway, Facebook COO Sheryl Sandberg, Expedia Chairman Barry Diller, and Dodgers co-owner Earvin "Magic" Johnson were among some of the more high-profile business leaders on the list. Other notable leaders from tech companies like Yelp, Netflix, Airbnb, and Google parent company Alphabet were also on the list. Many observers weren't entirely shocked at some of the names supporting Clinton — Buffett and Sandberg, for example, are longtime Democratic supporters. 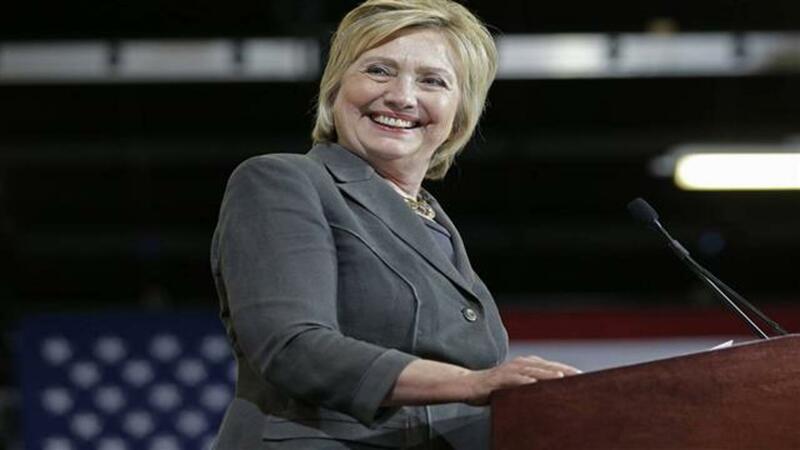 But the list came as Clinton's campaign has increasingly focused on touting high-profile Republicans who have been turned off by Donald Trump, and instead are backing Clinton. "I have consistently voted for Republicans for President," former General Motors CEO Dan Akerson said in the release. "Serving as the leader of the free world requires effective leadership, sound judgment, a steady hand and most importantly, the temperament to deal with crises large and small. Donald Trump lacks each of these characteristics. Hillary Clinton has the experience and judgment to serve as an effective Commander in Chief." For his part, Trump has speculated privately that top leaders' rejection of his candidacy could actually help shore up his populist grassroots support. Still, since securing the Republican presidential nomination, Trump has attempted to make inroads with business, faith, and government leaders. Earlier this week, the real-estate mogul touted support from a group of prominent Evangelicals, as well as an endorsement from Linda Springer, former director of the US Office of Personnel Management. Richard Anderson, Executive Chairman, Delta Air Lines, Inc.
Warren E. Buffett, Chairman and CEO of Berkshire Hathaway, Inc.
Jim Cicconi, Senior Executive Vice President, AT&T Services, Inc.
David Crane, Former CEO of NRG Energy, Inc. Rob Marcus, Former Chairman and CEO Time Warner Cable Inc.
William L. McComb, CEO (retired) of Liz Claiborne & Fifth and Pacific Companies, Inc.